This weekend, millions of Mormons around the world will direct their thoughts, television dials and internet browsers to the historic center of the faith in Salt Lake City, Utah, as the Church of Jesus Christ of Latter-day Saints convenes its 185th General Conference, October 3 - 4. As we do, many of us will be asking, who holds the keys to the future of our faith? 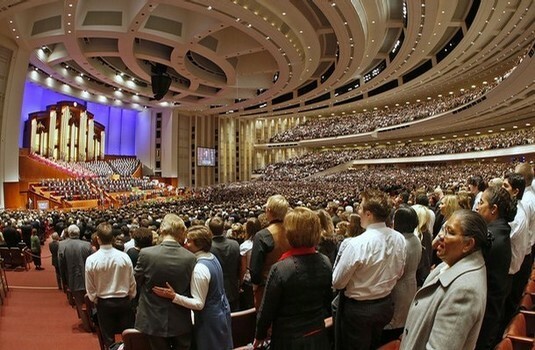 Inside the LDS Church's massive 21,000-seat Conference Center, the men who constitute the Church's leadership will make a highly anticipated announcement of three new members of the Church's Quorum of Twelve Apostles. Three members of this top-ranking leadership body have died in recent months and others are ailing or incapacitated with age, setting the stage for what may be the most significant leadership transition in Mormonism's last century. Meanwhile, outside the Conference Center, Mormon women's ordination advocates will reenact scenes from church history depicting the fact that Mormon women in the past had a stronger role in church leadership and a stronger claim on its priesthood than Mormon women do today. Women will also gather in historic City Creek Park to attach keys to a sculpture created by artist Ginny Huo, in memory of the moment when Joseph Smith in his own words "turn[ed] the key" of the priesthood to Mormon women and in the hopes that those keys might be remembered and restored to an LDS Church that has lost this important part of its history. Just about no one expects that a woman will be called to serve in the Quorum of Twelve Apostles this weekend. But more and more young Mormons--especially young Mormon women now serving as missionaries in record numbers--are asking questions about why women are excluded from top church leadership roles and decision-making hierarchies. It's clear that the men who head the LDS Church are concerned about these questions too: they have disciplined and excommunicated leaders of Ordain Women and they have implemented modest changes allowing limited participation by women on administrative committees at church headquarters. But when it comes to tackling hard questions about Mormonism, gender, and equality, real leadership has come from Mormon women. 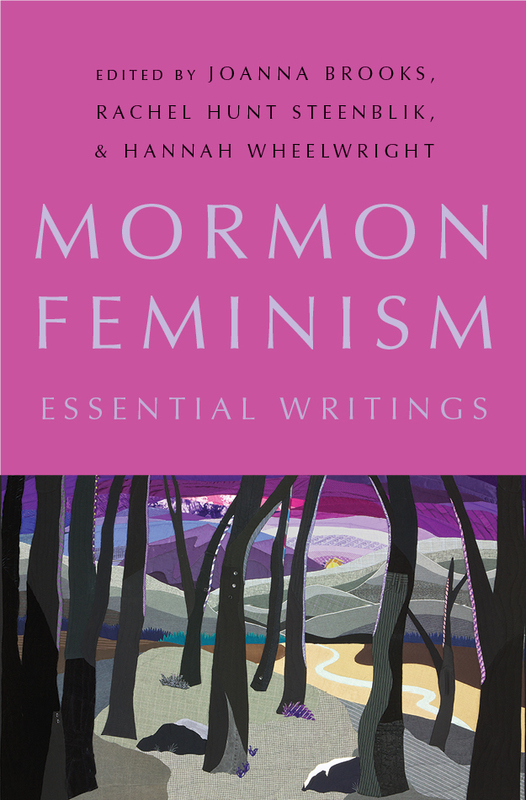 Since the early 1970s, Mormon women have been the faith's most powerful and innovative theologians on questions of gender and its most resourceful and revolutionary historians. Their writings--available in a groundbreaking collection new this month--are not well known. But they should be. Every Mormon should know that Mormon women historically practiced healing by the laying on of hands and other priesthood practices now reserved to men only--a fact Mormon historian Linda King Newell discovered in the 1970s and 1980s. They developed rituals surrounding birth and embraced Joseph Smith's encouragement that there could be "no more sin in any female laying hands on the sick than in wetting the face with water," a little-known statement now publicly available online through the LDS Church's Joseph Smith Papers Project. Every Mormon should know that Mormon women were in the forefront of the suffrage fight in the 19th century, that a Mormon feminist named Esther Peterson was the driving force behind the Equal Pay Act of 1963, and that today there is a powerful cohort of Mormon women of color scholar-activists like Gina Colvin (Maori), Janan Graham-Russell, and Pulitzer Prize-nominated legal scholar Mehrsa Baradaran, who are powerful critics of racism, colonialism, and economic exploitation. A Mormon woman named Eliza R. Snow was one of the first American theologians to put in print the idea of a Mother God, in a hymn she published in 1845. The hymn is still sung in Mormon churches, but Mormons should also know contemporary writings on Mother in Heaven by theologians like Margaret Toscano, Janice Allred, and Chelsea Shields. All Mormon people--whether they will be sitting inside the Conference Center this weekend, standing with the activists outside, or watching in homes and wardhouses around the globe--deserve to know this rich history of thought, careful scholarship, and prayerful dialogue. There is no excuse for maintaining ignorance of the faithful struggle by Mormon women hungry to exercise their spiritual gifts in every aspect of church membership. Now is not the time to pretend that issues of gender and equality in Mormonism are new, or that they have simple answers, or to ostracize those who raise them. This is a time for reconciliation around hard questions, an acknowledgment that there is value in struggle, and that how we face our internal challenges defines who we are. This is a time for a recognition of the leadership of Mormon women in addressing hard questions directly, and in so doing taking the keys to defining 21st century Mormonism into our own hands.